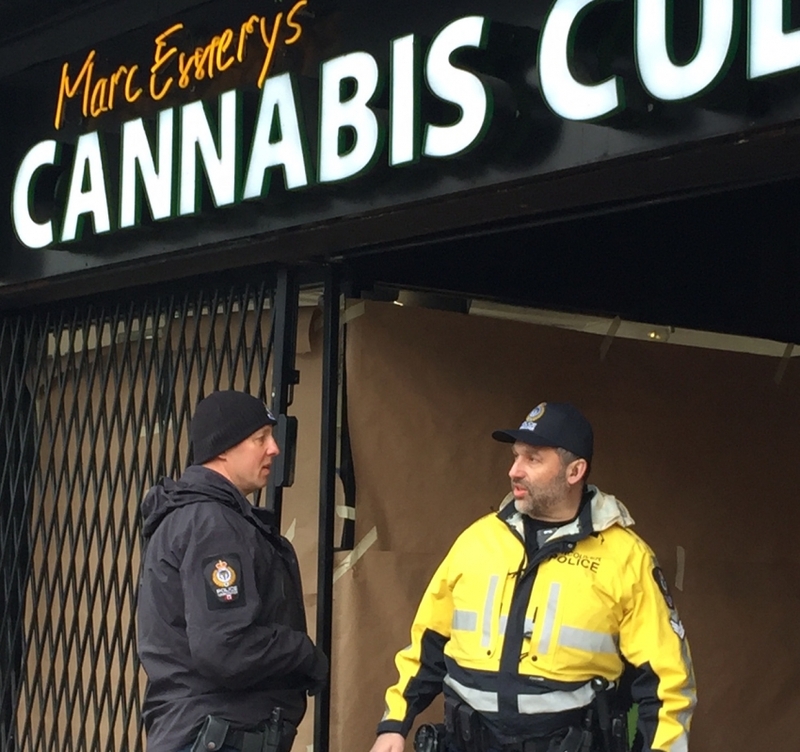 Vancouver Police and RCMP officers standing guard in front of Marc and Jodie Emery's Cannabis Culture cafe, marijuana dispensary and headquarters in Vancouver. Photo courtesy Chris Hatch. Prominent marijuana activists Marc and Jodie Emery have been arrested in Toronto and police are raiding several pot dispensaries associated with the couple. Lawyer Jack Lloyd says the couple was taken into custody at Toronto's Pearson International Airport on Wednesday evening. Neither Lloyd nor Toronto police could confirm what, if any, charges the Emerys are facing. Lloyd says the Emerys are due in a Toronto courtroom on Thursday. The couple own the Cannabis Culture brand, which is used by a chain of 19 marijuana dispensaries in British Columbia, Ontario and Quebec. Police were seen raiding Cannabis Culture stores in several cities on Thursday. 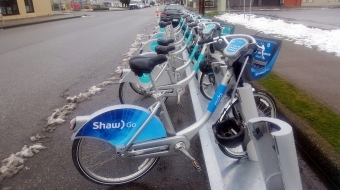 Vancouver police said its officers were carrying out search warrants in the city to help Toronto police with an investigation. Toronto police said in a release that 11 search warrants were being executed in Toronto, the Hamilton area and Vancouver as part of a project targeting marijuana dispensaries. They said details on charges would be posted when available. Marc Emery, the self-styled "Prince of Pot," was arrested at one of his new Montreal dispensaries in December and charged with drug trafficking. Police forces across the country have been raiding pot shops in recent months and charging owners with trafficking-related offences.